Not too much to report on the fishing scene the first couple weeks of January except for bitter cold and ice. Most all anglers have stayed away from the fishing boat so far this year with the exception of a few die-hards. Ice has taken over a majority of the ramps around the Paris Landing area and a majority of the backs of bays. Things began to thaw this week, but as I type, we have about four inches of snow on the ground and still falling.It appears bitter cold air is back to stay for a day or two . With the ice being so widespread, I expect to see a shad kill, which is common when the bait fish get caught in the shallow frozen water, thus bringing a buffet for the fish. If we get a break in the weather for a couple weeks the fishing will pick up quickly. Duck hunting has been good when you can find open water to hunt. 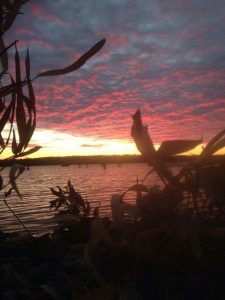 There has been some good reports on the river with guys hunting main lake points, killing a mixed bag of waterfowl from divers to mallards to geese.